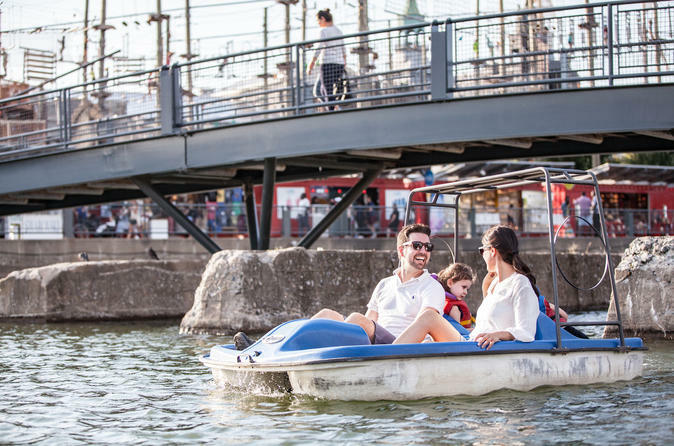 Your paddleboat rental starts at Jacques Cartier Pier (Quai Jacques-Cartier) in Montreal’s Old Port (Vieux-Port), where you’ll check in and hear a few safety tips before hopping in your boat and setting off into Bonsecours Basin. Surrounded by two piers and tree-lined Bonsecours Basin Park, the basin is a protected part of the St Lawrence River, so you’ll have calm waters and no boat traffic. With your friends, family or special someone, pedal around the basin for either 30 minutes or one hour, depending on the option selected at booking. As you pedal, look for Old Montreal sights like Bonsecours Market (Marché Bonsecours) and Notre Dame Basilica (Basilique Notre-Dame). When your time is up, return to the pier to turn in your paddleboat.